For over 15 years now, one of the most popular flower shops in San Diego has been House of Stemms, and with very good reason. 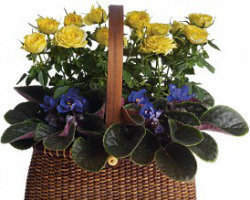 This floral shop is locally owned and operated and they guarantee that each arrangement is handmade and delivered by their own highly-trained staff. Bouquets can range from sweet and simple to super fancy, but they will always be of the finest quality. At House of Stemms, their first priority is customer satisfaction and they work to win that by providing the best service and flowers at the best price possible. 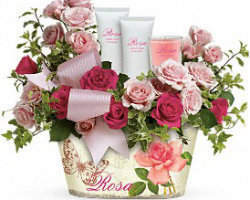 Fuji"s Aladdin Flowers has been in business for over forty years and they are still strongly committed to providing the best flowers in San Diego, CA to their many happy customers. This is a family-owned florist that is willing to go above and beyond when it comes to helping you choose your wedding flowers or special occasion bouquets. They are equally dedicated to making sure that your every need is met and that you are completely satisfied with your experience in the end. Fuji's Aladdin Flowers can give you the floral arrangements of your dreams at a price that won't break your budget. Wholesale Flowers & Supplies has spent nearly thirty years providing stellar service and amazing bouquets and loose flowers in San Diego, California. They've built their reputation on offering the best selection of flowers, tropical blooms and green fillers to local florists and retail customers alike. These experienced professionals can help you arrange for wedding flowers, special occasion bouquets or a simple dinner party and their prices will seem cheap compared to most retail flower shops in San Diego. Wholesale Flowers & Supplies will help cut out the middleman and make your shopping experience that much smoother. Allen's Flowers & Plants is an award-winning San Diego florist that is eager to provide its clients with creative and unique custom floral designs that will make your heart skip a beat. Family-owned and operated, this is one floral shop that is committed to providing the most personalized service that they possibly can. 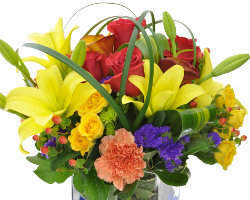 They are also well-known for being the most reliable San Diego flower delivery service that will only ever bring the freshest and most beautiful stems available. 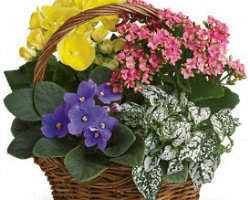 With Allen's Flowers & Plants taking care of your floral needs, you'll never have to wonder if the flowers will be ready on-time. Whether you're searching for wedding flowers or a simple bouquet for your dining room table, Flowers of Point Loma can provide you with some of the finest flowers in San Diego, CA. This is a family-owned and operated business and it shows in their personalized service and attention to detail. There aren't many flower shops in San Diego that can compare with Flowers of Point Loma's service, but when you factor in the quality of their flowers and their affordability, there's really no comparison. Flowers of Point Loma will deliver the goods on-time, every time. In San Diego, flowers are a competitive business and Art Quest Flowers ranks high among its competitors. It is one of the top resources in southern California for floral arrangements and bouquets that are high in quality but cheap in price. 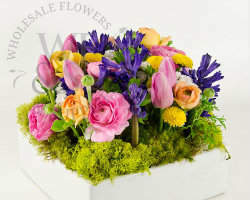 They have access to some of the world's most beautiful blooms, including Dutch tulips and Spanish flowers, allowing them to provide gorgeous designs for every occasion. 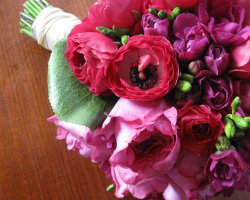 Those looking for wedding flowers will do especially well to book with Art Quest Flowers. Their reputation for being a reliable San Diego florist means that you can rest easy and enjoy your big day. 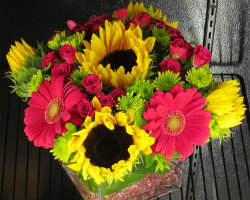 Mission Hills Florist is here to help you with any of your floral or gift-giving needs in the southern California area. With a wide selection of the finest and freshest cut flowers and plants available, these skilled designers can put together wonderfully fancy wedding flowers, bouquets and special occasion gifts for you and your loved ones that will make your heart melt. 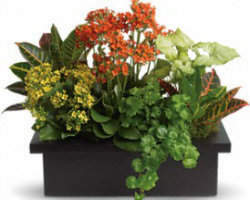 As one of the top-rated sources for beautiful flowers in San Diego, Mission Hills Florist is committed to providing you with the service and quality that you would expect from only the best. Che Bella is unquestionably one of the most luxurious flower shops in San Diego, California, providing gorgeous arrangements and fancy bouquets to help you celebrate the biggest and smallest moments of your life. These highly-trained floral designers are practiced at producing everything from simple creations to the most elaborate wedding flowers that a bride and groom could ever hope for. Their access to exotic Dutch, Ecuadorian and Spanish flowers plus so much more means that your imagination truly is the limit when you book your order here. 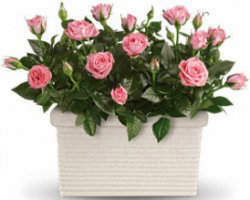 With Che Bella taking care of your floral needs, you can rest assured that you will have the freshest and most beautiful arrangements that money can buy. Liz's Flowers has made customer satisfaction a number one priority and the staff of this southern California floral shop will work hard to meet that goal. Let them help you arrange for your wedding flowers or take advantage of a cheap little tabletop arrangement to spruce up your kitchen table. And if you're looking for fast and professional San Diego flower delivery, Liz's Flowers will definitely be the local florist that you'll want to call. They can even have your flowers there before the sun is down in some cases.